Chapters 1 and 2 of Rock Landscapes: The Pulham Legacy deals with the early years in the lives and work of the Pulham family, but there was insufficient space available to go into too much detail about their building projects with Thomas Smith. The purpose of this month’s ‘Site of the Month’ feature is to fill in some of the gaps. James 1 and his younger brother, Obadiah, were born in Woodbridge, Suffolk, during the 1790s, and were apprenticed to J & W Lockwood – the local firm of Master Builders – as Stone Modellers. Lockwood opened a London Sales Office in 1824 at 22 Elder Street, Spitalfields, and put James 1 in charge, with Obadiah as his assistant, responsible for a lot of the modelling work. Lockwood’s business continued to expand, and, in 1826, he moved into larger premises in Tottenham, north London. One of Lockwood’s major projects that were in progress at this time was for William Stuart, at Tempsford Hall, in Bedfordshire. Obadiah Pulham was the stone modeller involved, and the architect for the work was Thomas Smith, who, at the age of 28, had just opened a practice in Hertford. Smith was apparently extremely impressed with Obadiah’s artistry and skills, and was also very interested in churches and the Gothic style of architecture, so they would have had a lot of interests in common. He recommended that the tower be taken down and part of the west wall rebuilt. The work was put in hand, but the tower collapsed during its construction due to stones not having been properly bonded together, and the local paper – the Hertfordshire Mercury – reported that this was due to the fact that a Clerk of Works had not been employed, and the architect only visited occasionally. Smith consequently had no option but to appoint a Clerk of Works, and he immediately thought of Obadiah, whose work at Tempsford Hall had impressed him so much. He therefore offered him the job, based in his Hertford office. The dreadful economic situation at this time meant that Lockwood’s flow of work had slowed down considerably, so Obadiah decided to leave James 1 in Tottenham, and move to Hertford to take up Smith’s offer. The work was completed in 1831, with Obadiah responsible as Clerk of Works. 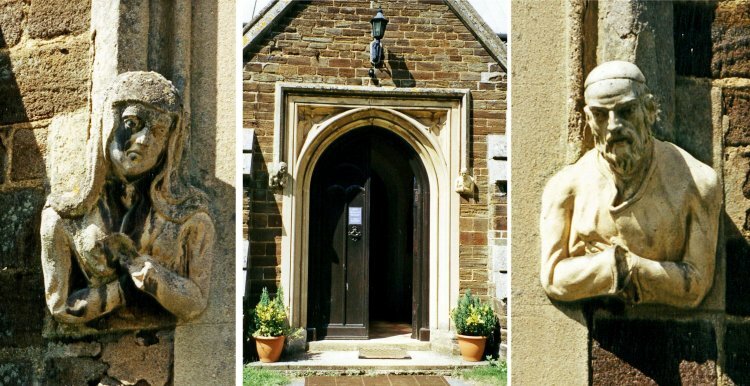 In fact, the terracotta hood-moulds around the windows – which can just be seen in Fig 1 – are almost certainly Obadiah’s work, as are also the head-like corbels supporting the beams inside the chancel, shown in Fig 2. It is not known who was contracted to build the church, so it would be irresponsible to claim that William Lockwood or James 1 were definitely involved, but it at least has to be a possibility. Smith designed and built Hertford County Hospital in 1832-33, and also built a Norman Folly in the garden of his home in North Road, Hertford c1834. As noted in Chapter 1 of Rock Landscapes, it is almost certain that James 1 worked with Obadiah on those projects. Smith was appointed County Architect and Surveyor of Hertfordshire in 1837, and also of Bedfordshire in 1847. James 1 continued in charge of Lockwood’s offices and showroom in Tottenham, and directories of the 1830s show him as living in Moselle Place, Tottenham. William Lockwood eventually decided to give up the London branch of his business and retire to Woodbridge in 1835, but James 1 continued to work from Tottenham under his own name. 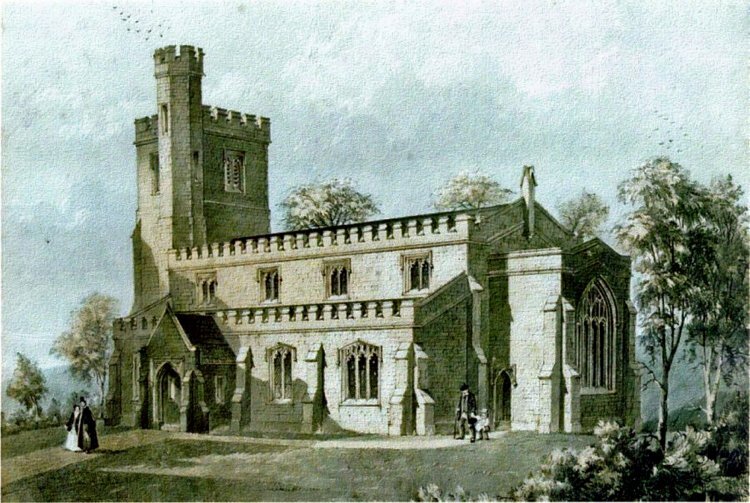 Thomas Smith designed the huge Norman Folly at Benington Lordship, and it is known for sure that James 1 worked with Obadiah on building it between 1835-38. This is discussed fully in the book, which also refers to the untimely death of James 1 in 1838, soon after the death of his baby twins. One can only guess at the trauma felt by a young man of eighteen at the news of his father’s sudden death in very unfortunate circumstances, but that is what James 2 had to endure in March 1838. He obviously got through it very well, however, because he took over his father’s business, and continued to live at the family home in Moselle Place, Tottenham, with his mother and three brothers and sisters. They were still there at the time of the 1841 Census. He inherited his father’s artistic abilities and practical skills, and we know – thanks to the research already done by John Corfield – that Thomas Smith employed him on a number of projects over the next several years. In order to be more conveniently situated for this work, he moved to Hoddesdon in 1842, and set up business in Amwell Street, at premises that are now The Sun Inn. 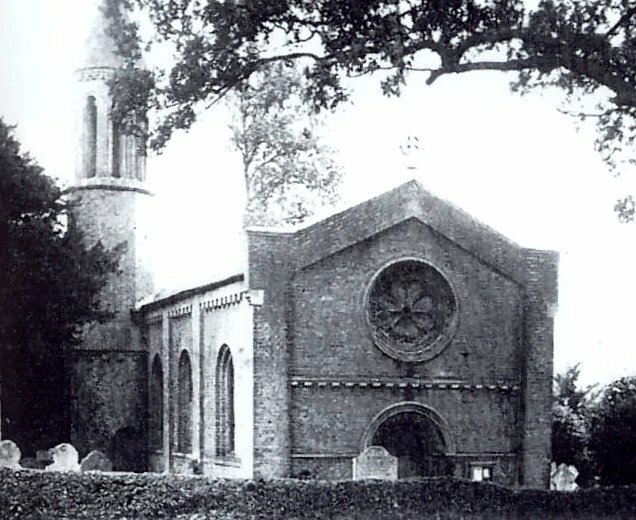 In May 1839, the Marquess of Bute laid the foundation stone of St John’s Church, in Old Harlow, Essex, which, according to a newspaper report, Thomas Smith designed and built in ‘the Early English manner’. 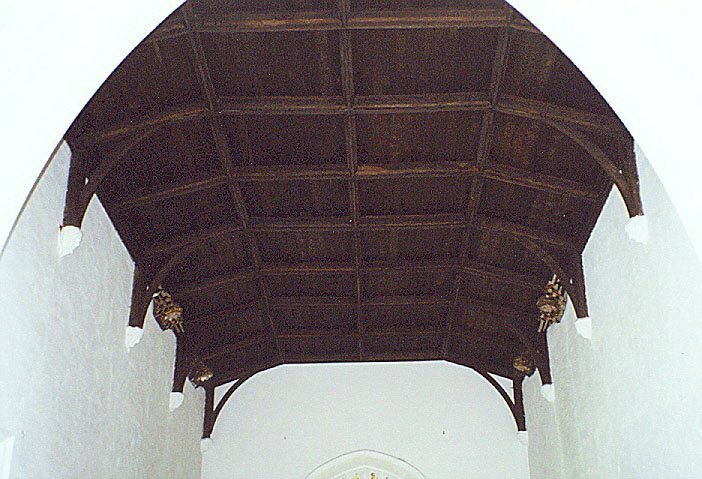 His church work continued with the Church of the Holy Trinity in Weston, Hertfordshire, in 1840, and a castellated south transept at the Church of St Nicholas, Stevenage, in 1841. There is no documentary evidence to show that James 2 was involved in the building work, but there are many similarities between these churches and others at which his presence is known, so it has to be a distinct possibility. Obadiah and Elizabeth had four children – William, Elizabeth, Mary and Lucy. William and Elizabeth were twins, and all four children were born between 1834 and 1836. Elizabeth sadly died in 1841, and his housekeeper, Sophia Martin, cared for the children while he was away at work, as he was at the time of the 1841 Census, when – as described in Chapter 1 of the book – he was lodging in Crib Street, Ware, during the building of nearby Thunder Hall. He married Sophia in April 1845 – also at St Mary’s, Whitechapel – but there were no children from that marriage. The 1851 Census showed them as living in the Mile End district of London, so this could have also have been in John Street. 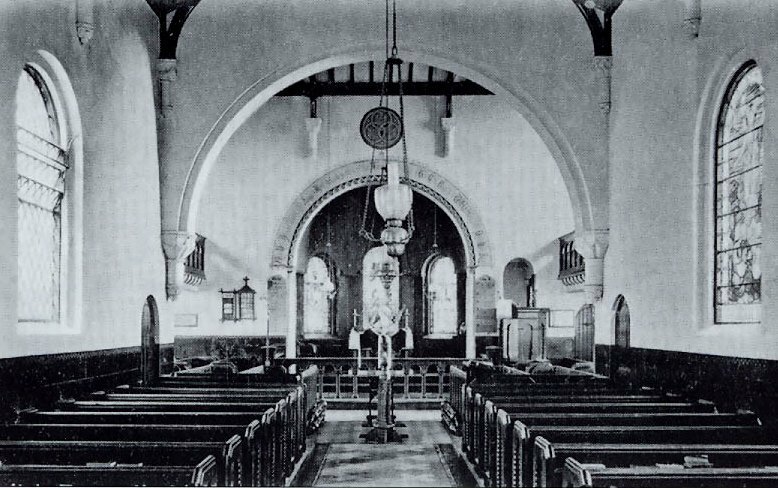 1841 was also the year in which Smith designed the new Church of the Holy Trinity, Wareside, which was intended as a chapel-of-ease for the large parish of Ware. Although there are no positive records of the projects on which James 2 worked during the two or three years immediately following the death of his father, Obadiah was involved as Clerk of Works with the church-building projects in Weston, Stevenage and Wareside, so it is quite possible that Smith engaged James 2 to assist in the construction of all three of them. Obadiah is also shown as lodging in Ware at the time of the 1841 Census, whilst working on Smith’s extensions to Thunder Hall – noted in Chapter 1 of the book – so maybe James 2 was also involved with that, and it may well have been these projects that prompted him to move his business from Tottenham to Hoddesdon in 1842. James 2 had started taking on work of his own by this time, and one of his clients was John Warner, who owned Hoddesdon House, now known as Rawdon House. As explained in Chapter 2 of the book, he employed James 2 to do extensive external and internal redecorations on the house when Warner decided to get married, and built himself another home nearby at ‘Woodlands’. He also asked James 2 to help landscape his gardens, and this turned out to be a major turning point in his life – where he made his first artificial ‘Pulhamite’ rock. This may have also have been the point when he decided to expand his business, because, in 1844 – when he was still only 24 – he put his premises up for auction, and moved a couple of miles south to Station Road, Broxbourne, where he built a new family home with an adjoining manufactory in which to produce a wide range of terracotta garden ornaments. Work began here in 1845, and James 2 was joined by his younger brother, Michael Angelo, who was also an incredibly talented artist and stone modeller, and helped with the designs of their ornaments. As was also noted in Chapter 2 of Rock Landscapes, James 2 wrote a long and knowledgeable letter to The Builder Magazine in 1845 under the title of ‘On Cements, Artificial Stone and Plastic Compositions. Apart from the technical aspects of this article, in which he referred to what cements should be used under which circumstances, his comments about the use of plaster, rather than wood, for certain interior decorative work are of particular interest, and explain his approach to the work he did on the staircase at Rawdon House. One of his next major jobs was the restoration of the dilapidated ornamental stonework around the North Doorway of the Church of St Mary Redcliffe, Bristol, in 1845. 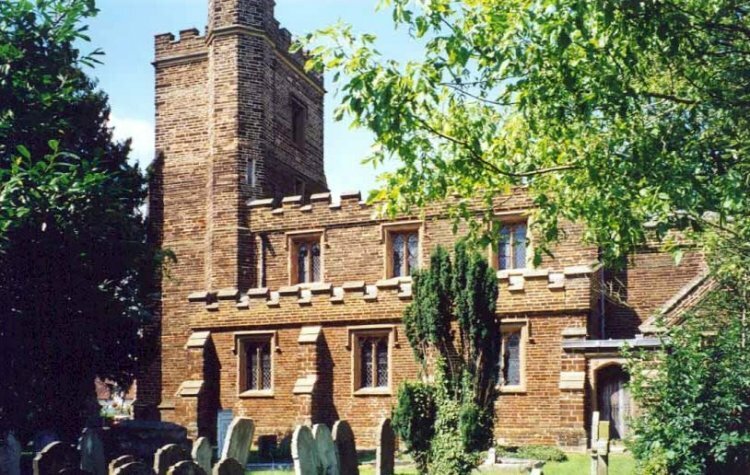 He continued to do some work with Thomas Smith, however, whose next major project was the Church of St Thomas of Canterbury at West Hyde, Hertfordshire. This is a beautiful church – described in some detail in the book – but it may well have led to something very different. 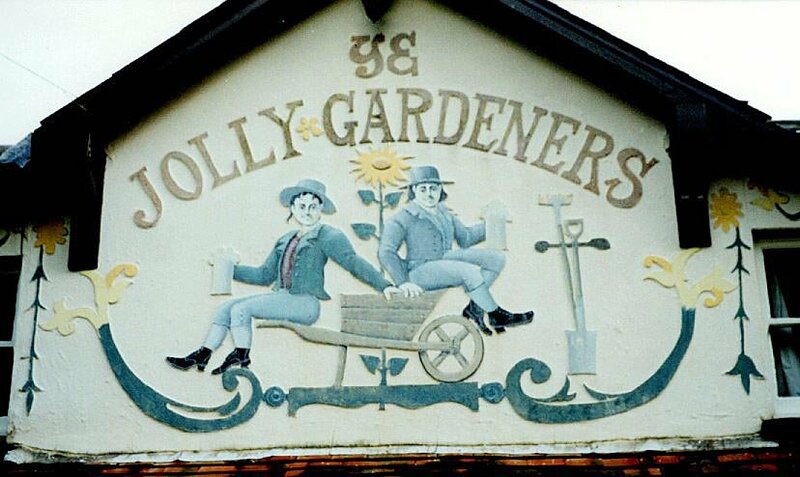 Just half a mile or so from this church is a house that, some years ago, was converted from an old public house called Ye Jolly Gardeners, and it does not stretch the imagination too far to suggest that the men working on the church would sometimes visit the hostelry for refreshment. The interesting thing about this is that the sign above the door – shown in Fig 6 – is in plasterwork bas-relief, and I have a very strong feeling that it could be a unique example of the Pulhams’ modelling skills. Thomas Smith was involved with designing of the Vicarage at Kilnwick Percy, in Pocklington, Yorkshire, in 1848, and it is almost certain that James 2 undertook most of the building, because he was certainly did a lot of interior decorative work in the main house, as described in Chapter 2 of the book. Pocklington may seem a long way from Hertford and Broxbourne, but but it could be explained by the fact that the Kilnwick Percy estate was owned by Capt Arthur Duncombe, a cousin of Thomas Slingsby Duncombe, M.P. for Hertford from 1826 unti11832. 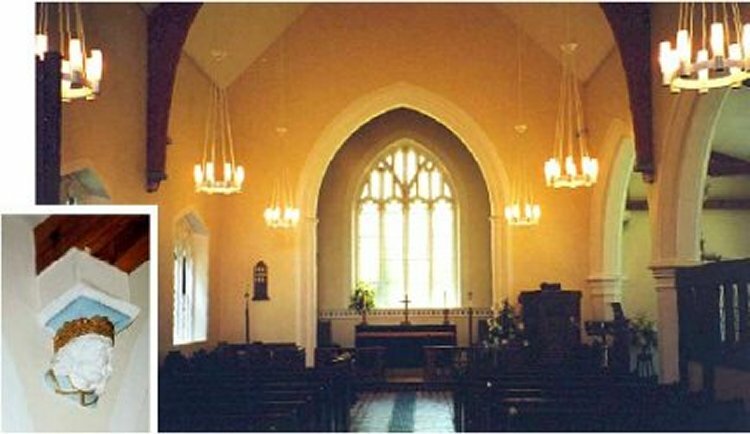 Fig 7 is a reproduction of an old lithograph that hangs inside the church, and was probably an ‘artist’s impression’ made before the church was built, since the background context is unlike the one I saw in 2001 – when I took the picture shown in Fig 8, when the roof had recently been replaced, and the church had lost its battlemented upper section. Moving closer, one can see the terracotta hood-moulds that extend partway down the sides of the door and the windows, and the figures at the ends of them – Fig 9 shows the door in the centre, with the figures in close-up on either side, and Fig 10 shows the windows. 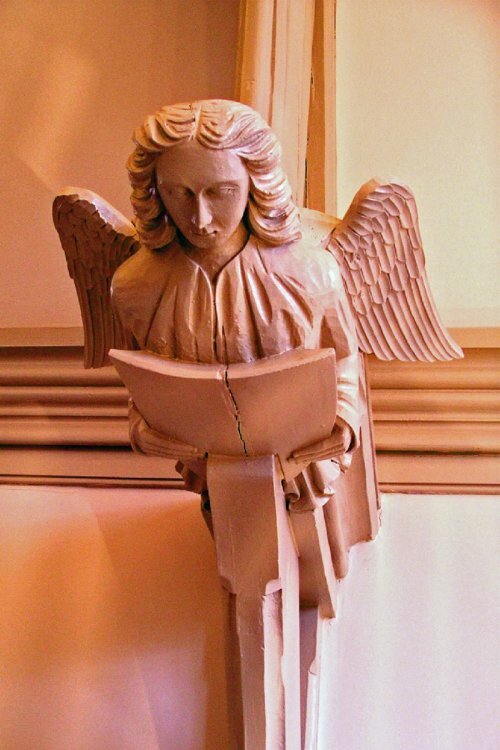 Even Pevsner recognised that Obadiah was here, too, and it is therefore not surprising that, inside the church, there are some more heads – although, this time, they serve as corbel brackets to support the beams – see Fig 11 – rather than being an integral part of them, as they are in West Hyde. It is not absolutely certain the James 2 was involved in the building of St Mary’s Church, although all the available evidence seems to indicate that he was. It seems that this was rather a lean time for his business, however, because bankruptcy proceedings were started against him in July 1849,[iv] but he managed to obtain a ‘Certificate of the Third Class’ – which was effectively a two-year suspended judgement dependent upon the settlement of his debts – in the October of that year, so he obviously recovered from his problems, and got his business back on track. [v] He went on to exhibit his terracotta wares at the International Exhibitions of 1851 and 1852, for which he won several awards. 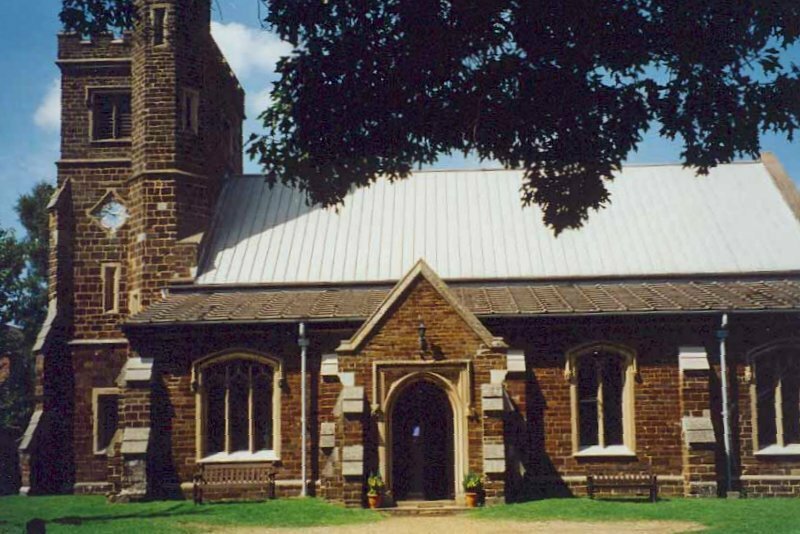 James 2 built the Ware Cemetery Chapel in 1855, as described in Chapter 2 of the book. 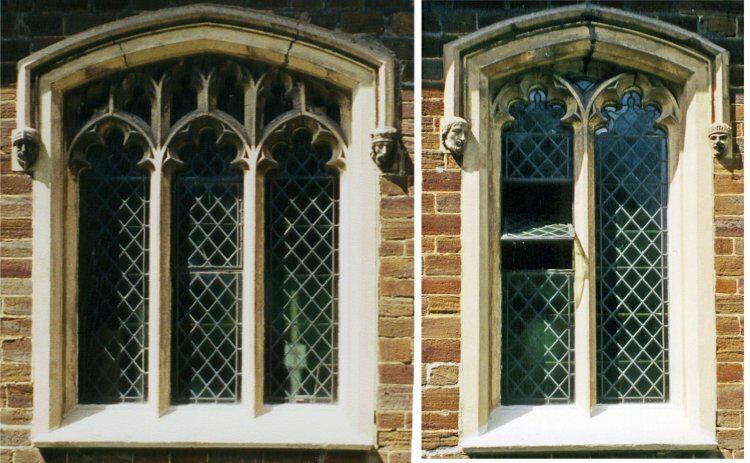 The building has now been converted into a pair of flats, although the ‘Pulham faces’ around the doorways and windows are still in excellent condition, as are also the angel heads that support the internal hammer beams – just like they do in West Hyde. A close-up picture of one of these restored figures is shown in Fig 12. 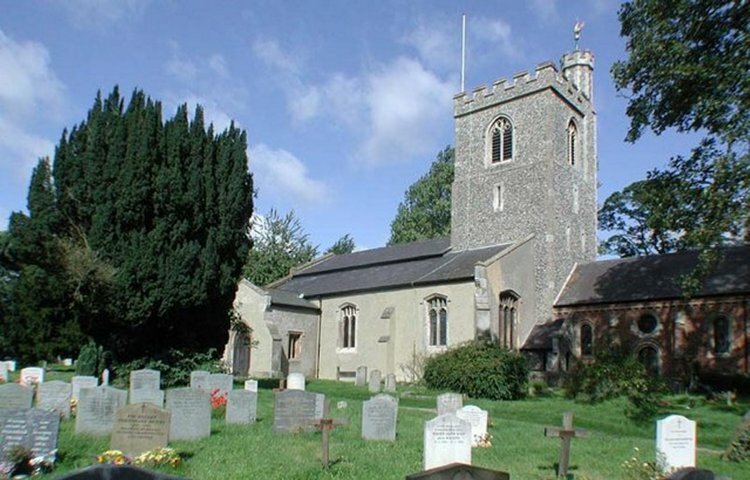 St Augustine’s Church in Broxbourne is only about 100 yards from James 2’s house and Manufactory in Station Road, and also contains the grave in which he was laid to rest in 1898. The work and repairs that he carried out on the fabric of this Church is also discussed in Rock Landscapes, so there is no point in repeating it here. By this time, James 2 had become established in his landscaping and artificial rockwork commissions, and did less and less building work. He consequently had no further work from Thomas Smith who, by this time, had begun to design and build churches around Europe, with Obadiah as his Clerk of Works, so this is where I can hand the story back to Rock Landscapes: The Pulham Legacy. Posted on November 30, 2014 June 4, 2016 by Claude HitchingPosted in Sites Month 2Tagged Church of the Holy Trinity - Wareside, Church of the Holy Trinity - Weston, James Pulham (1), James Pulham (2), michael angelo pulham, obadiah pulham, St James' Church - Silsoe, St Mary's Church - Clophill, thomas smith, William Lockwood - Woodbridge, Ye Jolly Gardeners - West Hyde.